Is failure controlling or shaping your life? I don’t think we really like to talk about failure too much. It’s uncomfortable and awkward to think about the ways that we have or can fall short in life. Whether it’s in relationships, parenting, business, career, education, I’m sure we all have examples of where we feel we have not quite made it, where we have let people down or not succeeded in some way. But I wonder if failure is controlling or shaping our lives more than we might think? Think about the parent who is constantly anxious about their parenting, worrying that they aren’t doing a good job, that they are failing their children. Or the worker who consistently puts in hours and hours of overtime at work, always striving to be better and better and yet never quite feeling good enough. Or the person who won’t apply for a new job, afraid to try anything new in case they fail. As I have looked more closely at my choices, reactions and feelings, I have seen how failure, and the fear of failure has more influence in my life than I ever imagined. 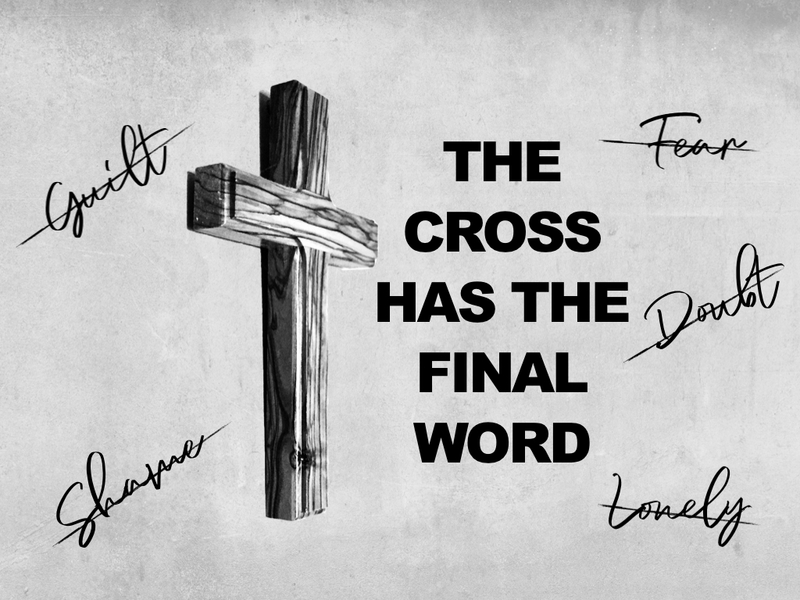 This Sunday, through the story of Peter’s denial, we’ll see how the cross exposes and confronts our failure in order to free us from being defined and controlled by it. Peter thought he was ready to follow Jesus, even to die for him. However he was wrong – it was in fact only when Peter was confronted dramatically with his own failure, through denying Jesus, that he truly became ready to follow Jesus wherever He would go.